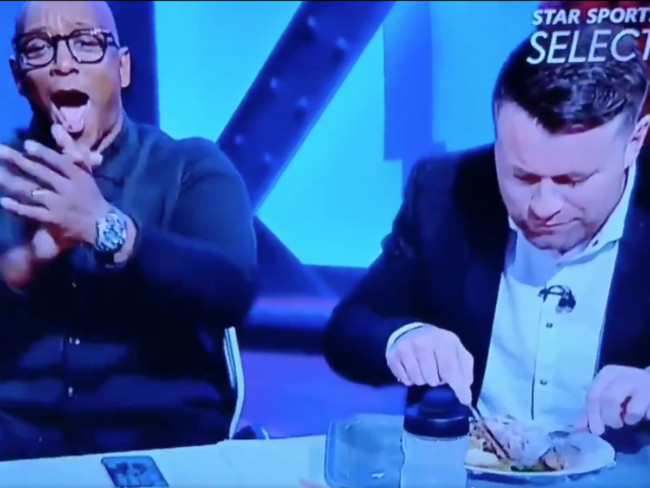 Shay Given has, with tongue firmly lodged in cheek, defended his honour after a slightly embarrassing video of the Irish goalkeeper ended up going viral at the weekend. Working the Liverpool-Chelsea game for Indian broadcasters Star Sports, Given was in the studio with fellow pundits Steve McManaman and Ian Wright when Mohamed Salah picked out the top corner from 25 yards out. We were totally off air, so the producer has stitched me up at the end of the show. He’s said to us, ‘we’ve just got a little clip to show you before we’re finished for the day’. So I’m sitting there quite relaxed thinking, ‘what it’s going to be?’, and it’s me munching down a Sunday roast! I had my Man City head on. Ian Wright and Steve McManaman were going mad because it was as special goal, but I felt maybe Chelsea could have taken a point or two off Liverpool for my old club. Once Salah hit that strike I thought, ‘oh that’s it, they’re not losing now’, so it was back to my food! My nickname is ‘The Horse’ and the nosebag was back on as soon as the ball hit the net. I think I would have caught it, myself! So there you have it: a stitch up – but a stitch up that involved a complimentary roast dinner, i.e. the best kind. Honestly, Pies have no real idea why, but we can’t stop giggling at Given’s little tray.